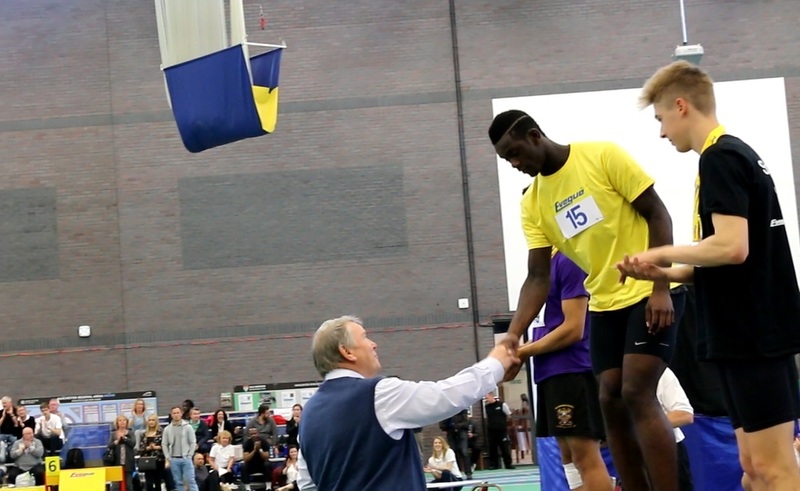 Budding Young Athletes’ from across the UK are set to compete in Manchester’s Regional Indoor Athletics Arena at the Sportshall Athletics UK Finals on the weekend of April 16th & 17th. The most promising young athletes will battle it out to be crowned UK champions at the flagship athletics development event of the year. Many current members of the GB & NI Athletics Team experienced their first taste of Athletics through Sportshall competition including High Jump UK Junior record holder Morgan Lake who completed her Sportshall career winning the Under 15’s All Rounder competition in 2012. Athletes such as Katarina Johnson-Thompson, Kelly Sotherton and Mark-Lewis-Francis also took part at this event in previous years. Dina Asher Smith also competed in Sportshall and is now amongst a strong generation of young British sprinters. William Adeyeye (Essex, Thurrock AC) unfortunately couldn’t attend last year after a strong regional performance so will be looking to replicate his dominating display in taking the East Regional under 15 Boys title with particularly impressive performances this year. We will see a new Under 15 girl take the All Rounder title this year after Ellie Hodgson (Hampshire, Southampton AC) bowed out in 2015 after winning two consecutive titles. There are some strong contenders for the girls title with Amber Anning (Sussex, Brighton & Hove AC) amongst those in with a chance after recording the best Vertical Jump this season! Teams from across the UK will be looking to win titles and after combined Yorkshire & North East Competitions in previous years it was great to see the establishment of separate events for these regions in 2016. It is particularly pleasing to see teams from Merseyside and Leicestershire & Rutland qualifying for a place in the UK Final. Both these teams have not previously been represented at the UK Final for many years. In the Under 13’s Team Competition, Greater Manchester will represent the North West after their best result for a number of years. They will be challenged by teams from across the UK including a Hampshire Girls team aiming for their fourth successive title and an Avon Boys team searching for their fifth win in sixth years. There is no doubt Donegal will also be looking to challenge for the Under 13 boys title after seeing two new Ulster Records in their qualifying competition.